Welcome to Lyneham Primary School. As a renowned public school, we are justly proud of the well-earned reputation our school enjoys for its significant contribution to the Canberra community for over half a century. In 2019 we are celebrating our 60th birthday! As Principal I am proud to lead and be a part of our school community. At Lyneham Primary School we are welcoming, open and caring. We value our partnerships with the broader community to improve student outcomes. Because we believe in respectful relationships, the social justice principles of equity and fairness underpin our work with all students, staff and families. We encourage our students to seek to understand and value the perspectives of others. 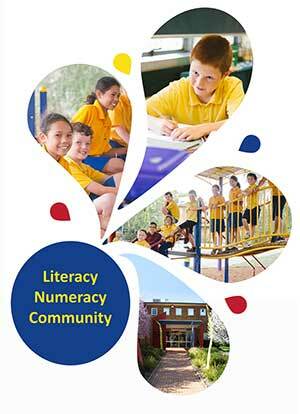 Lyneham Primary School strives to promote a culture of high expectations for our students’ academic success. Our school environment encourages curiosity, collaboration, critical and creative thinking. By 2022 our students and teachers will be working together, students and teachers questioning and noticing, and students and teachers displaying a sense of wonder. In 2022 you will see shared beliefs and consistent teaching and learning practices based on current research and data. You will consistently see students given the time to talk, to share and clarify ideas and provide feedback. Students will participate in purposeful and authentic writing and reading opportunities using quality literature. Students will be engaged in open ended, purposeful and authentic maths opportunities, consistently using a shared language of Maths. Lyneham will continue to be a place where students love to learn, where there is a strong culture of purposeful and creative learning and where students, staff and families are happy and engaged as a vibrant learning community. Join us in the hall at 12:30pm for a special assembly to celebrate Lyneham Primary School's 60th birthday. Then you might like to enjoy a cuppa and piece of birthday cake in our library. School starts for Lyneham Preschool Group A, Downer Preschool and all Kindergarten students Monday 4th February and for Years 1-6 Tuesday 5th February. Lyneham Preschool Group B starts Wednesday 6th February. Preschool and Kindergarten students will arrive at preschool and school and meet their teachers in their classrooms, ready to start their new adventure. On Friday 1st February class lists will be on display in the school foyer from 12pm to 3pm. Stationery you have ordered will be delivered to your children in the first week of school. On Tuesday 5th February all students will meet in the hall at 9am. We will introduce staff and then call out class by class. Students will be in classes from Day 1, with rotations in year levels in the afternoons of the first week. Our school uniform shop will be open on Friday 1st February 12.30pm-2.00pm.